All I want for Christmas is…….? I don’t consider myself a man who has everything, but when it comes to putting together a Christmas wish list I am struggling this year. Between us, we already have more ‘stuff’ than anyone could possibly need. Our kitchen cupboards are full of exotic foods and “useful” gadgets (mostly unused and unuseful), our bookshelves are bowing under the weight of beautiful but unread books and, as regular followers will know, the garden is already fuller than Luciano Pavarotti at a pasta buffet. I am also very indulgent and tend to buy anything I need for myself, as I’m far too impatient to wait for Santa to arrive. So, what to suggest to my loved ones this Christmas? It’s unlikely that a request for a modestly sized period house in 2-3 acres is going to fall on fertile ground, so I’m going to have to think more creatively…..
Top of the list is the National Gardens Scheme Yellow Book. It’s not published until Feb 7th 2013, but by then I should be coming out of gardening hibernation. The Yellow Book is the essential guide to garden visiting in the UK and will prompt me to get out more and be inspired by the endeavours of other enthusiastic gardeners. Next is a place on a good photography course. I love taking photos but I have the attention span of a goldfish when it comes to reading books or instructions. The only way I’m going to learn is to get some proper tuition from an expert. 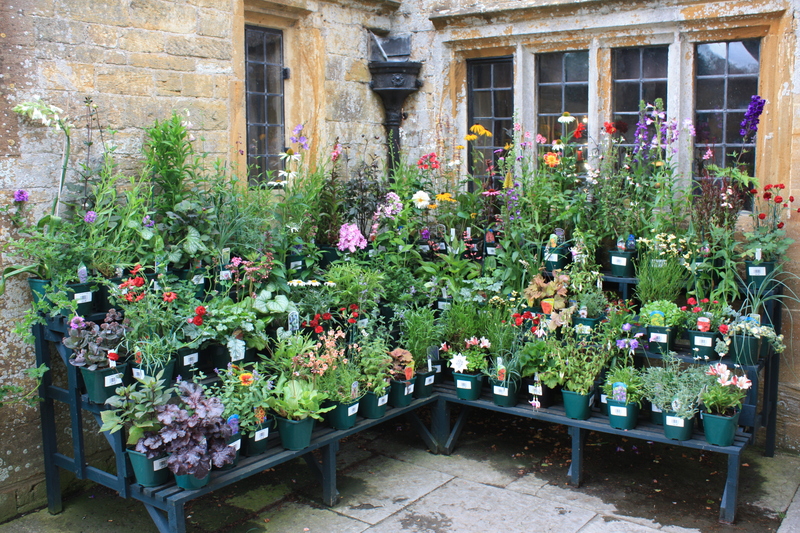 New garden planters are now something of a necessity, the old ones having split apart in all sorts of places. Those Agapanthus are brutes. Finally, books about the flora of Bhutan appear to be rarer than hens’ teeth. I’d like to swat up a bit before we go next year, so if anyone knows of one that’s still in print, please let me (or Santa) know. My precious copy of Flowers of the Himalaya only stretches as far as Nepal and at 600 pages it’s not terribly portable. Fortunately, being a terrible shopaholic I have no difficulty at all in buying gifts for others, which is a blessing as well as an expensive addiction. I am well along with my Christmas shopping this year, anticipating that December will be the normal roller-coaster of a month. In the end, whatever I receive I will be truly grateful for, having again witnessed so much poverty (and joy) on my travels this year. If only one could give and receive time, happiness and great memories, those would be the greatest gifts of all. 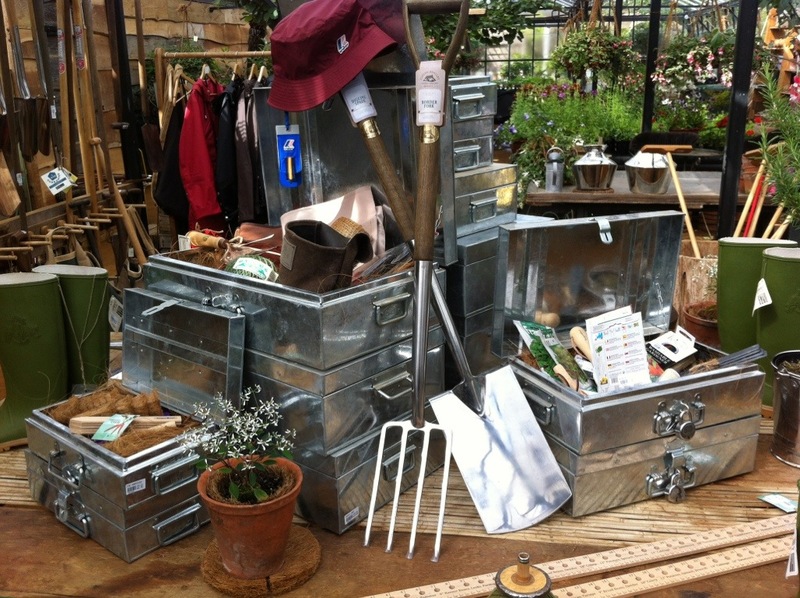 Not on this year’s wish list: Above, shiny new tools at Petersham Nurseries and, below, oh so tempting plants at Tintinhull gardens. Loved your list for Santa, and I could use the photography course and lens as well. But, I’d sure like to be able to step into the Petersham Nurseries and just look at all those shiny new gadgets. Just the picture quickened my pulse. OMG! Is it Christmas already!? Afraid so, but then I work in retail, so it’s Christmas for pretty much 3 months of the year!